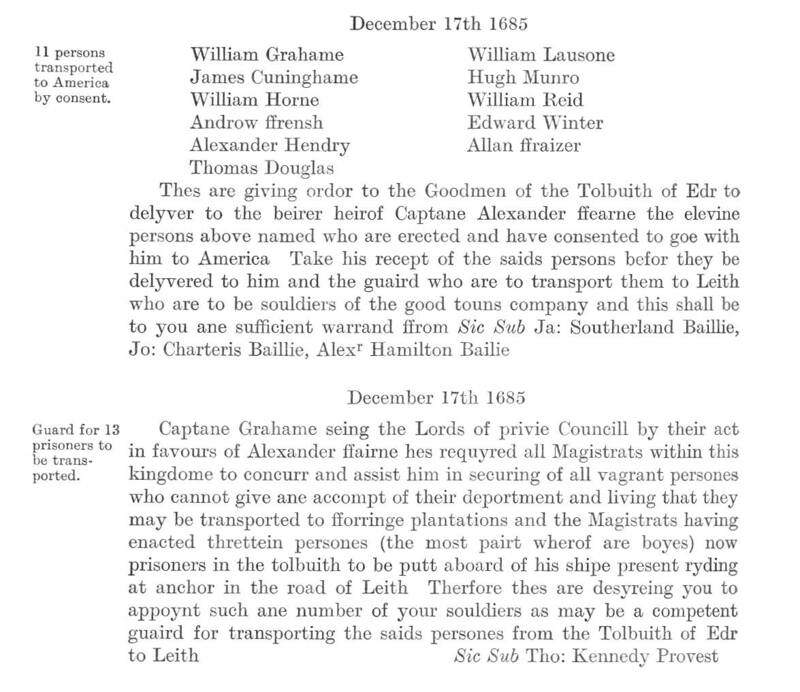 Extracts from The Book of Old Edinburgh Club Vol XII. 1685 saw an increase in transportations to America as the “Killing Time” had its impact in Scotland. There can be no doubt that many dissatisfied Presbyterians of all shades had by now had enough of the persecutions under both Charles II ( who died in February 1685) and the rampant discrimination by his brother, James II, an ardent and declared catholic intent on restoring the religion of his choice. There also had been the panic over an invasion by the 9th Earl of Argyll in conjunction with the Duke of Monmouth in England. Both risings failed to get support and both leaders were executed. A sense of despair quite probably fell upon the populace in a land that had been ravaged and scoured for twenty five years. 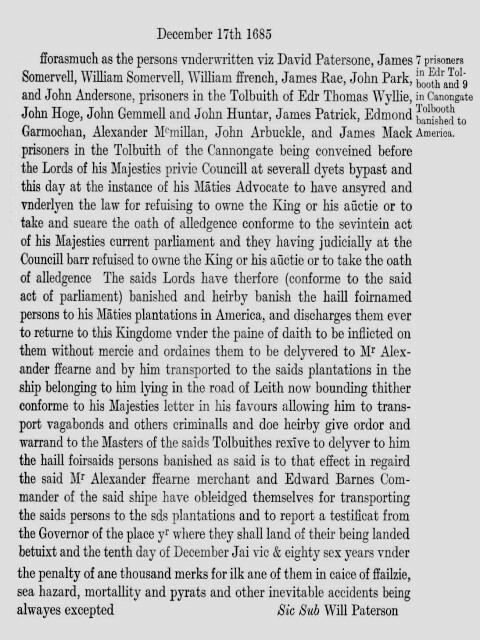 In December 1685 more prisoners were sent to the American Colonies via Alexander Ffearnes, merchant in Edinburgh on the ship of Edward Barnes, lying at Leith. Earlier the Henry & Francis had taken prisoners from Dunnottar Castle.